'Landed and slid to the right of the runway' and 'landed on Runway 1 and then veered off' were respective initial statements from CommutAir and the FAA, both of which contradict the findings. 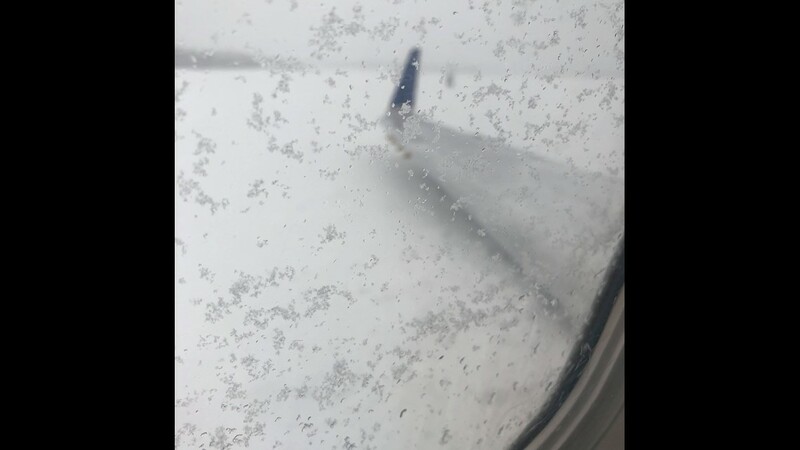 PRESQUE ISLE, Maine — A United Express regional jet did not slide off the runway earlier this month at Presque Isle International Airport, according to a preliminary report from the National Transpiration Safety Board released Wednesday. 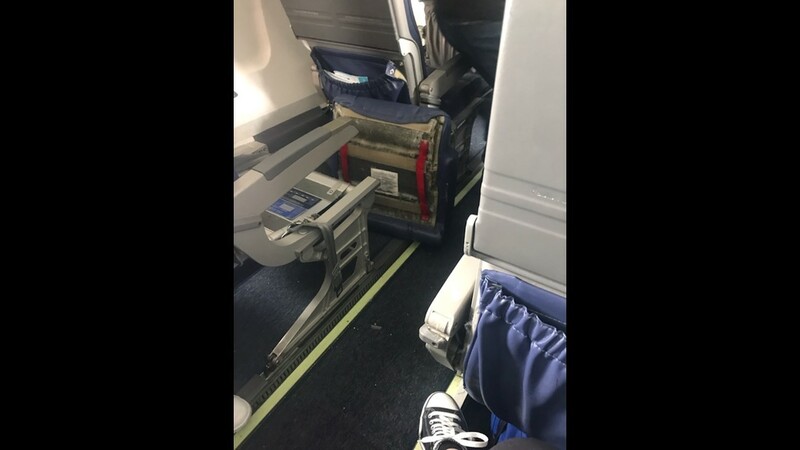 Instead, contradicting initial statements from both the regional airline and Federal Aviation Administration, the plane completely missed the runway. The NTSB, which sent two investigators, found that United/CommutAir flight 4933, a 50-seat Embraer EMB-145XR operating as United Express, landed between one of the airport's two runways and its primary taxiway. CommutAir's statement read, in part, "the aircraft … landed and slid to the right of the runway. The FAA corroborated, stating, "CommutAir Flight 4933 … landed on Runway 1 and then veered off the runway onto the grass at Northern Maine Regional Airport at Presque Isle at 11:43 a.m. today." 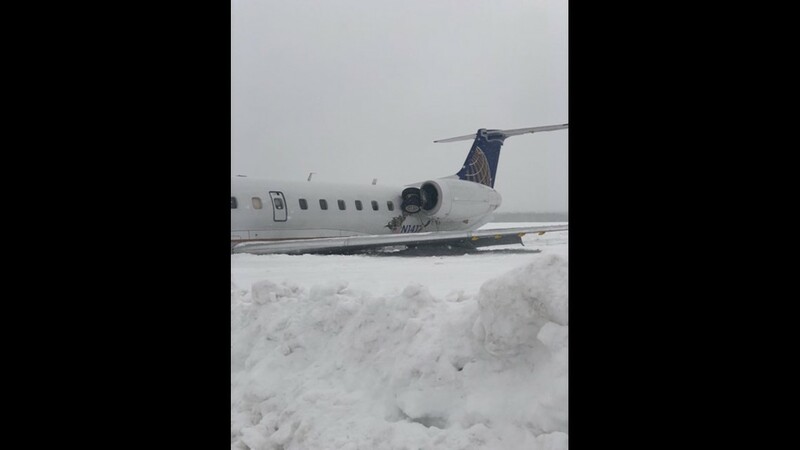 NEWS CENTER Maine was initially told the jet had missed the runway by a city spokesperson, who later sent an update including CommutAir's report. Radar track data show it was aligned right of runway 1 during both of its two approaches, the first of which it missed, the report found. Only three of the 31 passengers and crew aboard the flight suffered minor injuries, the NTSB said, down from five reported by the city of Presque Isle, which initially said one pilot and four passengers had been hurt. In total, 28 passengers and three crew members were traveling. The Embraer EMB-145XR was "substantially damaged," the report said. Photos showed some of the landing gear stuck in one of the engines. United/CommutAir 4933 had departed from Newark, New Jersey, and was scheduled to land at Presque Isle at 10:49 a.m., but instead arrived about 45 minutes behind schedule. Light to moderate snow was reported by the NTSB. Meteorologist Ryan Breton reported on March 4 that visibility in the area at about the time of the landing was about a half-mile with moderate snowfall.